"The hotel was clean, but I didn't like that I couldn't close the curtains. The staff was friendly.2019-03-31"
"Nice, clean hotel with friendly personnel. Breakfast was great. Don't hesitate to stay here.2018-11-08"
"Nice, clean hotel with friendly employees and a good breakfast bar.2018-07-18"
"The 1st room smelled bad, but the hotel clerk gave us another room that was clean and comfortable. We appreciated the cookies and bottled water at check-in. Breakfast was pretty good. This is a good choice.2018-02-16"
"Disregard the exterior appearance of the hotel. It was quiet, and the environment was clean.2015-09-01"
"The kids and I had a great stay. The beds were super comfortable, and the staff was nice and helpful. Good breakfast. The only negative was renovation work that started by our window at 7 AM. We'll definitely stay again.2015-08-09"
"Great hotel. 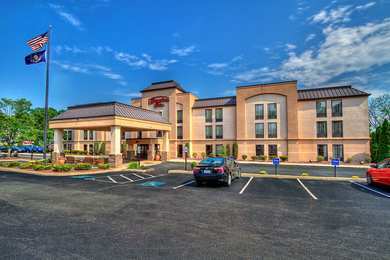 The employees were exceptionally friendly, and made sure I had everything I needed.2015-04-20"
Learn more about West Mifflin Hotels & Motels in our West Mifflin Hotels Guide.